Pre-heat oven to 180°C/ 350°F. Melt butter in a small pot and allow to cool. Segment the clementines and reserve some of the collected juice. Add butter and sugar to a bowl and beat to combine for approx. 2 min. Add eggs, ricotta, flour, baking powder, and some reserved clementine juice and stir until dough is combined. 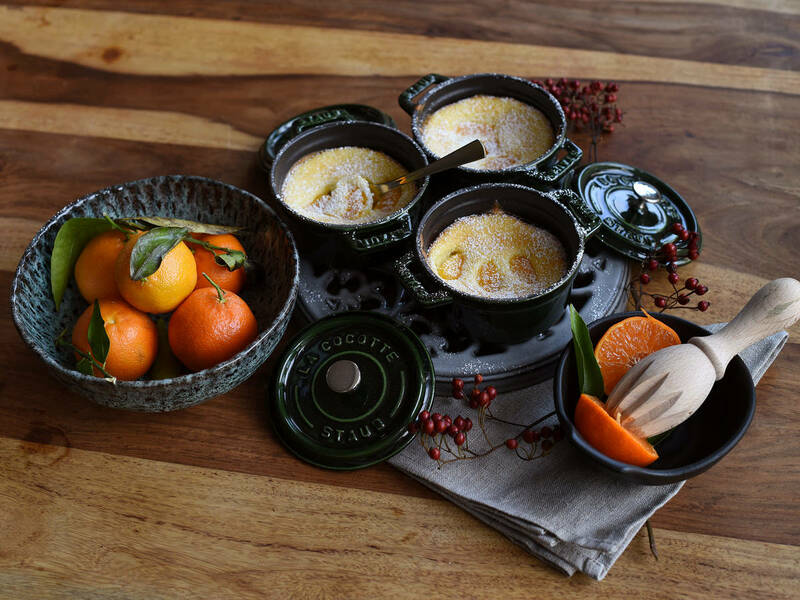 Transfer dough to 6 ramekins and add clementine segments on top. Bake for approx. 25 min. at 180°C/ 350°F until golden brown. Let cool slightly, then dust with confectioner’s sugar and enjoy!